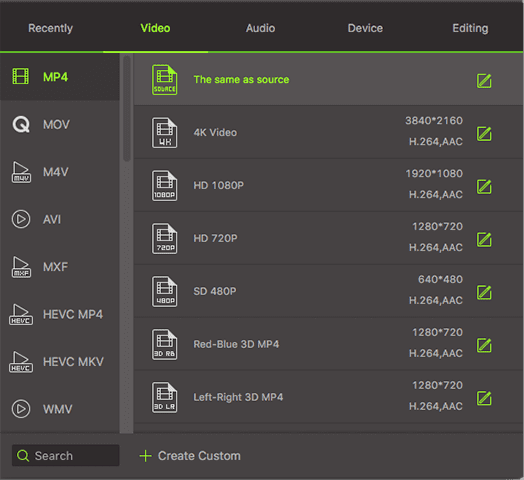 Want to combine multiple videos of different formats into one MP4 video or other formats? Do I need to convert each video to MP4 and then merge them with a video editing tool? Of course not. 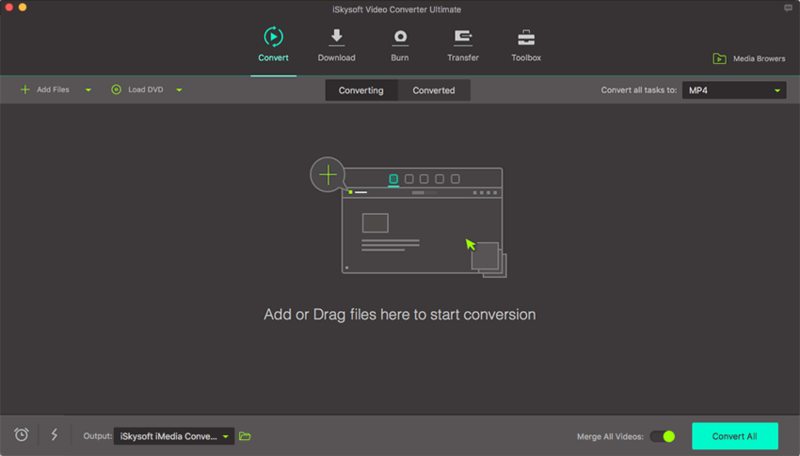 Now with iSkysoft Video Converter Ultimate, you can achieve to convert several videos and combine them into one file at the same time. Read more to get detailed guide. 2. Click "Add Files" button in the Convert tab to load videos from your hard drive, mobile devices or directly from camcorder. Now you should select an output format for all videos. There is no doubt that all videos should be converted to the same format if you want to merge them. And please set the output format from the format tray according to your need. There is a “Merge All Videos” button on the bottom interface, please turn on it. Then hit the “Convert All” button to save it. 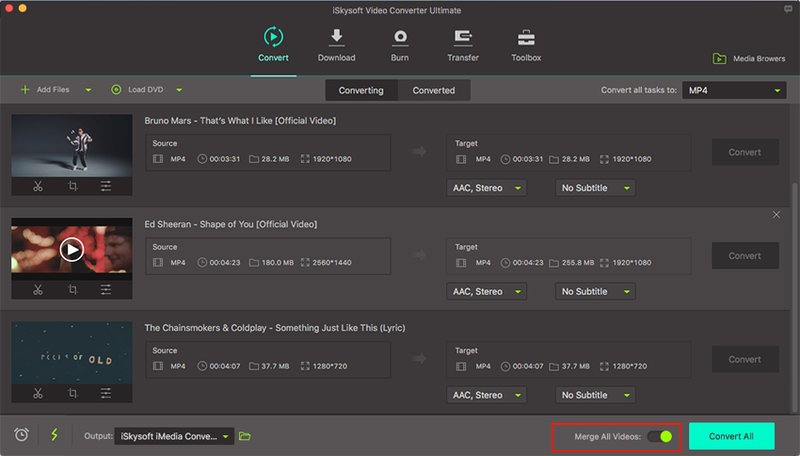 Soon you will get all videos merged into one file without any loss.